Mid Cal Moving & Storage is a premier central California moving company helping both commercial and residential customers execute safer, more efficient moves than they ever thought possible. As a dedicated agent for Bekins Van Lines, an industry-leading carrier since 1891, we can even perform international moves to more than 100 countries worldwide! Ask us about our comprehensive storage services, as well. Our state-of-the-art warehousing facilities are secure, organized and clean -- ensuring your belongings remain safe for as long as they're in our possession. Stockton: For moving and storage solutions throughout Stockton, contact Mid Cal -- your one-st0p-shop for everything relocation related. Sacramento: Whether you’re moving down the street or to the other side of the world, packing up everything you own can create a stressful situation. Modesto: Our Modesto movers are professionals who strive to ensure a stress-free relocation experience. Danville: Regardless of the size of your transition, we have the equipment and skills necessary to make it simple and efficient. Lodi: Our Lodi movers are professional who aim to provide a perfect relocation experience for your family and/or business. Livermore: Mid Cal Moving & Storage is a reputable Livermore moving company that puts remarkable emphasis on customer care and satisfaction. Pleasanton: Mid Cal assigns a dedicated Move Coordinator to every project we take on -- so help is never far away. Tracy: Households and businesses seeking a reliable central California moving company can't go wrong with Mid Cal. Manteca: Our movers, drivers and packers are all trained and certified to provide you with the most comprehensive services possible -- guaranteed! Turlock: Mid Cal, as a proud agent for Bekins Van Lines, has been performing exceptional relocations for families and businesses alike for several decades. Merced: All of our Merced movers at Mid Cal Moving & Storage work tirelessly to provide our valued customers with the exceptional services they have come to expect. Tri Valley: If you’re moving in or out of Tri Valley, go with the best for your important relocation and rely on Mid Cal Moving & Storage. Discovery Bay: Whether moving in or moving out, Mid Cal Moving & Storage is the Discovery Bay moving company to provide you with all the necessities, amenities, and unrivaled customer service for hassle-free, dependable moving solutions. Oakdale: For decades at Mid Cal Moving & Storage, our Oakdale moving company has provided valuable moving services for residential, commercial, and specialty relocations. Elk Grove: Elk Grove was once a stage stop for weary travelers, but there’s no rest for residents planning a move within the area. Rio Vista: Mid Cal Moving is proud to be a leading Rio Vista moving company that serves both residential and commercial customers in the area. Galt: When you need reliable and dedicated movers in Galt, you need the experienced professionals at Mid Cal Moving. 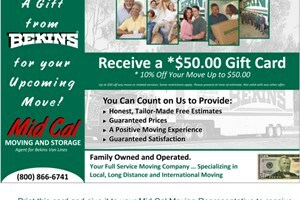 Lathrop: For those in need of a Lathrop moving company, Mid Cal Moving & Storage is the premier choice. Riverbank: When you require an efficient, experienced Riverbank moving company, consider the services of Mid Cal Moving & Storage. West Modesto: While many movers offer basic relocation services, Mid Cal Moving & Storage is one of the few companies that offers a full range of moving and storage services. Stanislaus County: When planning a residential or commercial move in Stanislaus County, CA, you need to work with an experienced crew of Modesto movers to ensure that your relocation is a seamless, hassle-free process. San Joaquin County: Whether you are moving a business across the country or taking your family to a larger home in the local region, working with a professional San Joaquin County moving company can make all the difference in having a pleasant, stress-free experience. For more information on our central California movers and the comprehensive services they offer, call us toll-free or fill out the quote form above for your no-obligation estimate today.